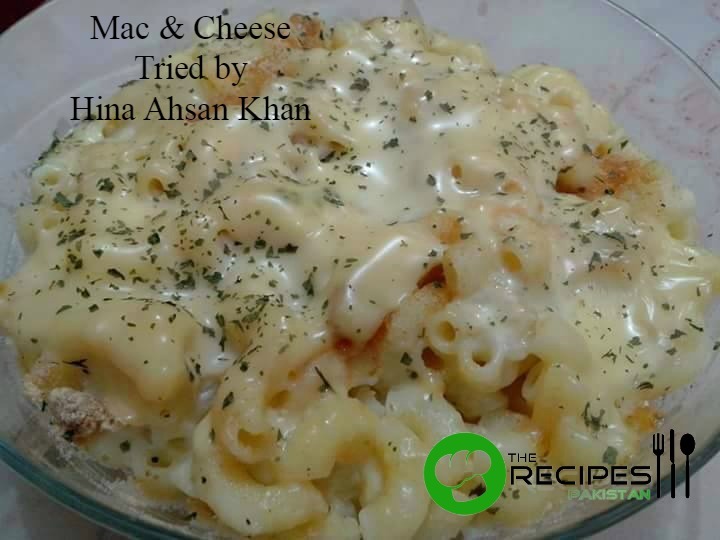 Mac and Cheese is one of yummy recipe. Loaded with cheese, creates a mouthwatering dish. Try this easy recipe. Cook macaroni according to package directions. Rinse and set aside. Melt butter in Saucepan, add flour under medium to low heat and stir constantly. Cook until golden brown. Add Milk until a gravy consistency. Stir constantly. Season with salt and black pepper then add half cheese. Stir constantly until cheese is melted. Remove from heat, add macaroni and stir. In a bowl add this macaroni, spread remaining cheese on top and sprinkle parsley. (at this point you can also spread breadcrumbs if you like). Bake it till cheese melt. Delicious Mac & Cheese is ready.